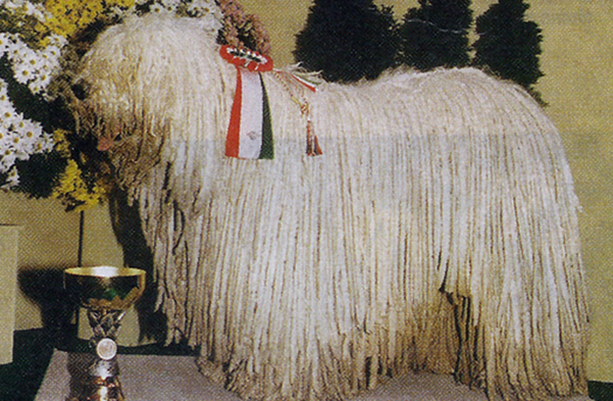 Hungarians say the Komondor is the king of dogs, and its original name was the "silk-coated wolf-dog." The breed's strength coupled with its size and its tranquil nature makes it a remarkable animal. Its fearsome presence made it a number one guardian for livestock. 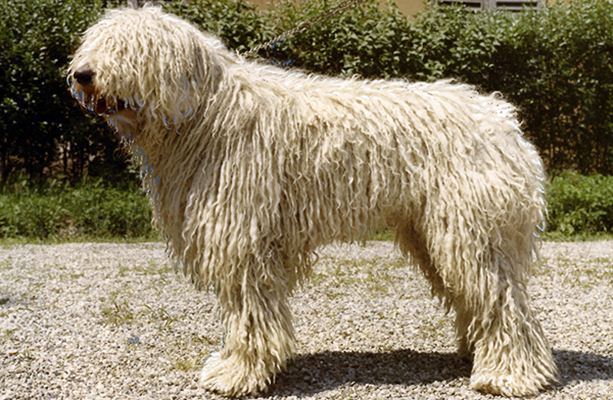 Its name, Komondor means "belonging to the Cumans." This indicates the existence of similar guard dogs living in the 13th century Hungary. Most likely, the 40,000 migrating Cuman families brought the first Komondors to the Carpathian Basin around 1239. Their job was not herding, but guarding the sheep flock at night since its bright white color distinguished them from the enemy. 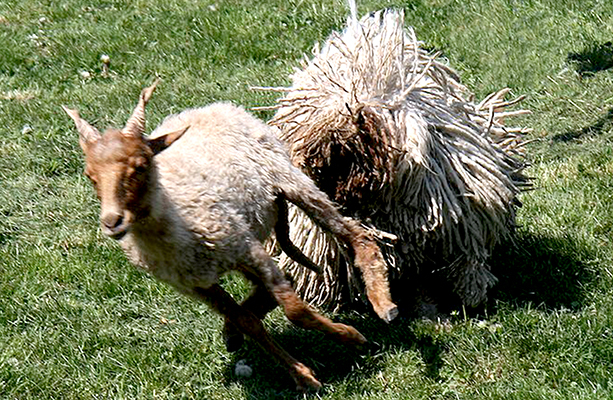 The Komondor attacks enemies from the front and when it jumps to bite it causes a mortal wound. Their special thick coat protects them from extreme seasonal cold or heat. Unfortunately, the breed became unnecessary due to the eventual lack of wild intruders such as wolves and bears, and they were nearly extinct by the 19th century. The first official kennel club for them was established in 1924, and renewed breeding of them started in the 1940s. Germans and Russian military killed many Komondors during the Second World War. 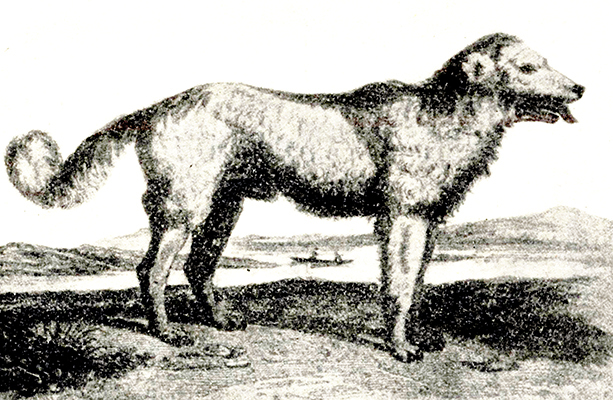 Komondors were protecting farms and villages, and the villages could only be occupied by killing the Komondor first. Ironically, today Komondors frequently guard jewelry stores in Germany due to their resistance to gas spray. The name means "belonging to the Cumans" or "dog of the cumans." Komondor as a family name first appeared in 1454 and was recorded specifically as a noun in 1519 in the Codex of Debrecen. 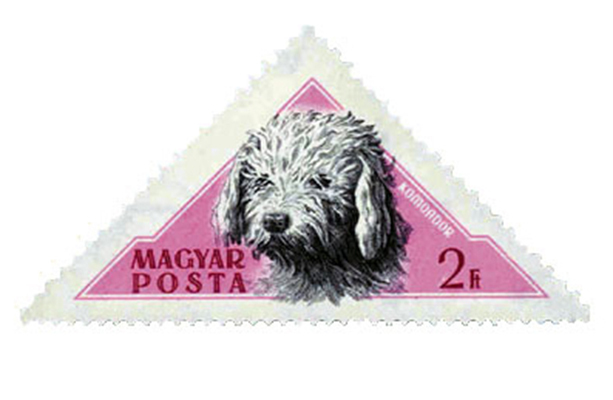 The initial mention of Komondor as a breed was in a book about legends and songs written by the monks of Clarissa Monastery of Old Buda Castle. 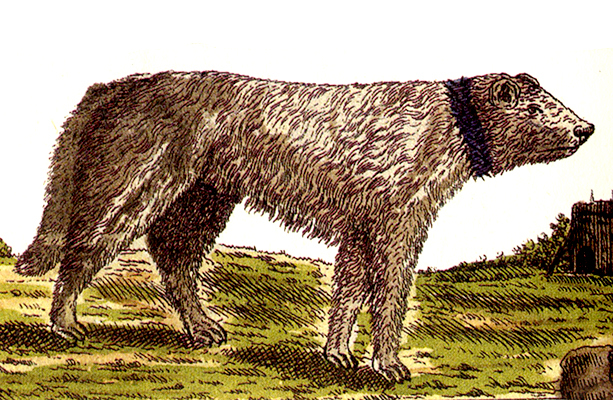 The earliest literary description of the Komondor as a white shepherd dog occurred in 1549 in Kákonyi Péter’s The History of King Astyages and Cyrus, a book about the Persian king and prince who established the Persian Empire in the 6th century BCE. The Komondor has a massive white, matted, cord-like coat that covers a robust, muscular body. An average Komondor is 30 in (70 cm) tall and weighs 120–130 pounds (60–70 kg). Its head is not too large, and its nose and tongue are always black. His length is slightly larger than its height. The Komondor has an admirable personality and a majestic appearance. It is low-key, dignified, and very intelligent. The dog keeps to itself and rarely barks. When it does, it’s usually to signal about a significant situation like the approach of a stranger or enemy. They fiercely protect their owners and his belongings. Komondors have a highly developed sense of empathy. They seem to sense their owners’ moods as well as the intent of people who are approaching. They are very sensitive. A change in ownership is very hard on them. The Komondor requires plenty of open space. Since their innate nature is to guard and protect, they require the ability to walk independently and check on their surrounding environment. They are also happy living outdoors and do not require access to the indoors. The Nine Hungarian Dogs project is evolved from the requirements of University of Baltimore's MFA/ID Thesis assignment. © 2015 Nine Hungarian Dogs. All rights reserved.